The mortgage application process can feel stressful and drawn-out, but it doesn’t have to. 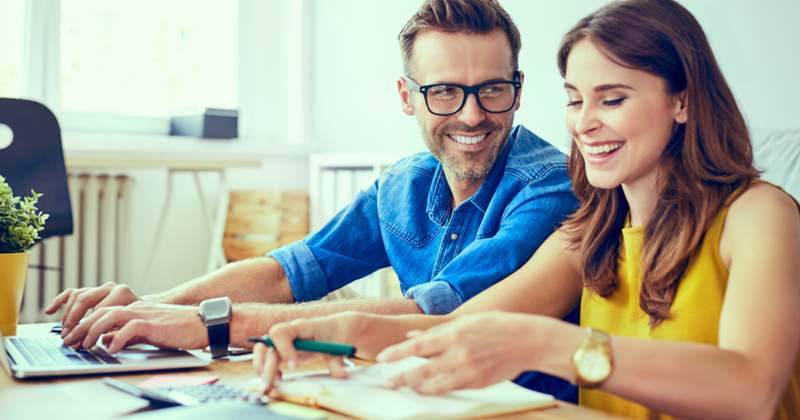 In fact, if you take some time to prepare by collecting your paperwork and learning about the process, applying for a home loan can be fairly straightforward. Get your credit in order. Going in with a great credit score helps. If need be, work on your credit before buying a home — pay down debts and check your credit report for any errors. Any little change can help. Have your paperwork ready. You’ll need to provide lots of financial documentation, and that can take awhile to get organized. But you can start before you apply: Collect your recent pay stubs, tax returns, W-2s and bank account statements. If you have any retirement accounts, stocks or bonds, you’ll also need records of those. Learn about mortgage products. Look into the different loan options out there. Do you understand the difference between fixed-rate and adjustable-rate loans? What sort of term are you interested in? How much will you need for a down payment with each type? Have questions ready to discuss in person. Apply for preapproval or prequalification. Getting prequalified or preapproved can help set the foundation for a quick and easy application. It can also help you determine your price range when searching for a home. As a bonus, a preapproval letter can give you a leg up over other buyers.